Abstract lightplay that slowly reveals it's secrets. 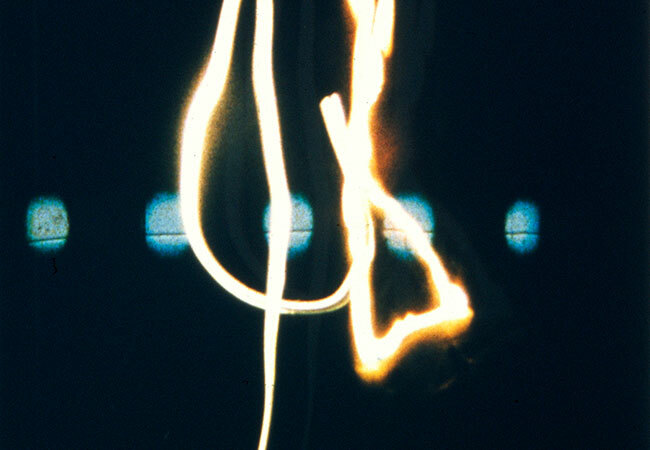 The film consists of three layers: animation of streetlights, filmstrip treated with bleach and a performance shot with long shutter speeds. The electronic music by Joost Rekveld is based on radio-signals.